Edward Gibbon Wakefield was a leader of the organised European settlement of New Zealand. In 1848 he and John Robert Godley founded the Canterbury Association to create a Church of England colony in New Zealand. Edward Gibbon Wakefield was probably born on 20 March 1796, in London, England. He did not settle into any schools and developed into an ambitious young man used to getting his way through charm, persistence and fast talking. He became a messenger for a member of the diplomatic service, and travelled widely in Europe. In 1816 Wakefield eloped with a 16-year-old heiress, Eliza Pattle. He managed to talk his way out of trouble and into a substantial financial settlement. After the birth of their son, Edward Jerningham Wakefield in 1820, Eliza died. In 1826 Wakefield deceived another young girl into marriage. He hoped that her father would be forced to help him with his political career if she was his wife. Instead he and his brother William, who had helped him in the abduction were brought to trial. Their trial caused a public sensation and the two brothers were sentenced to three years in prison. Land buyers in the new colony would be allowed only small amounts at a time so that the land would be properly developed. This was instead of being allowed large areas of land that would need slaves or convicts to work it, as in North America and parts of Australia. The price of this land (the 'sufficient price') would depend on local circumstances. Farm workers brought out to work the land would eventually given the chance to buy property. Because the landowners would not have to spend as much time working on their land, they would be able to carry over into the colony the culture and quality of life they had had back in England. Life in the new settlement would be more orderly and 'civilised'. The natural leaders of the colony (educated and used to being in charge) would have the time to establish schools, roads, and regulations, and the dream of self-government would be achieved sooner than expected. Money received from the sale of the land would be used to bring more workers out to the settlement (as assisted passengers they would not have to pay their fare), and to build the services needed in the new towns, including the planned cathedral and college. All people who wanted to emigrate under the scheme would have to 'be of good character' i.e. hard-working, well-behaved and Christian. A 'slice of English life' would be moved from England to New Zealand, and would be under the strong influence of the Anglican Church. Wakefield’s scandalous behaviour and reputation prevented him from entering political life in England. Any influence he held had to be behind the scenes. He was very good at talking to people so that they came around to his point of view. He became involved in plans for the colonisation of South Australia, and also spent time in Canada, while working on plans to colonise New Zealand. He helped set up the New Zealand Association, which later became the New Zealand Company. The first organised attempt at settlement was of Wellington, under the leadership of his brother William, in 1839. Other settlements were started in Whanganui, New Plymouth and Nelson. Unfortunately the company made promises it could not deliver on and also made dubious land purchases from Māori. This lead to the Wairau Incident. Māori objected to European attempts to survey disputed land in the Wairau Valley. Violence broke out and Wakefield’s brother Arthur was among those killed on 17 June, 1843. Despite demands for revenge from settlers in Wellington and Nelson, Governor Fitzroy refused to act, saying that the Māori had been provoked by the unreasonable actions of the Europeans. 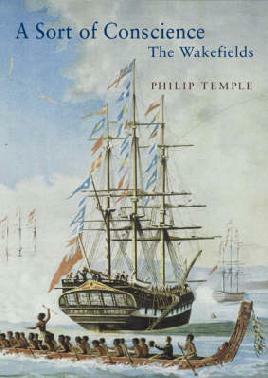 After the Wairau affair Wakefield had to defend the New Zealand Company and its policies back in England. In 1848 Wakefield, with John Robert Godley set up the Canterbury Association to plan a Church of England colony in New Zealand. Land for the settlement was obtained from the Ngāi Tahu under the deal known as Kemp’s Deed. Within a year he was trying to get support in England for self-government for New Zealand. The 1852 New Zealand Constitution Bill included sections on provincial government, which were probably the result of Wakefield's influence. Wakefield left England for New Zealand in late 1852, arriving in Lyttelton on 2 February 1853. He was not warmly welcomed there and so travelled to Wellington where he argued with Governor Grey over land regulations. He went into politics, and was elected to both the Wellington Provincial Council and the House of Representatives. Political problems early in the first General Assembly, and ill health, ended his political career. Wakefield took no more part in public affairs, and died on 16 May 1862, in Wellington.